Three guesses which film is totally inspiring my style right now? If you guessed Clueless, 10 points to Gryffindor! 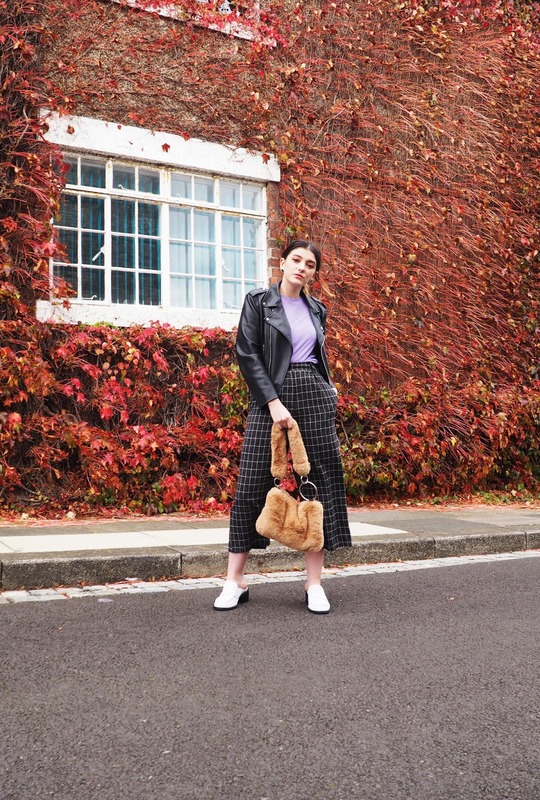 I'm obsessed with all things checkered and 'library chic' right now. 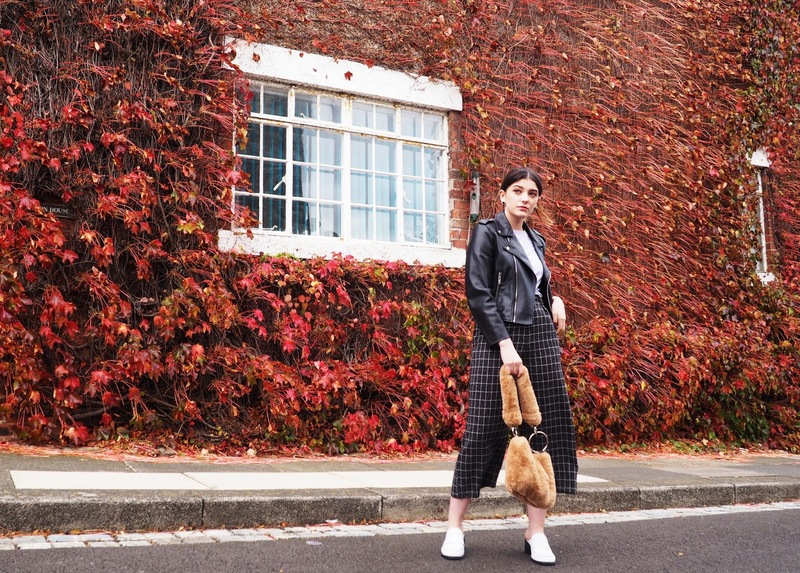 So these wide leg trousers paired with my favourite new grandad loafers were a no brainer. 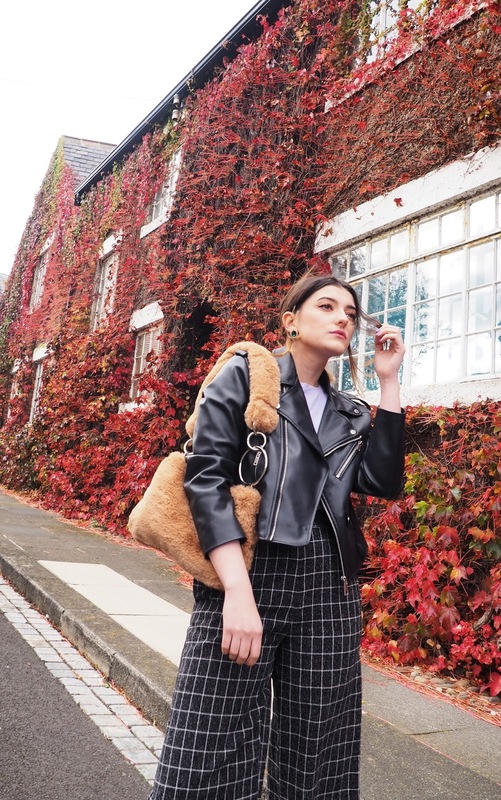 Paired with a pastel tee and trusty leather jacket, it's the perfect transitional piece for A/W - simply switch the leather for a chunky faux fur coat and you're onto a winner. As much as I loved this look, there was a little something missing for me - perhaps lack of colour or texture? I'm unsure, but this INSANE faux fur bag (?!) sure as heck fixed it in no time. 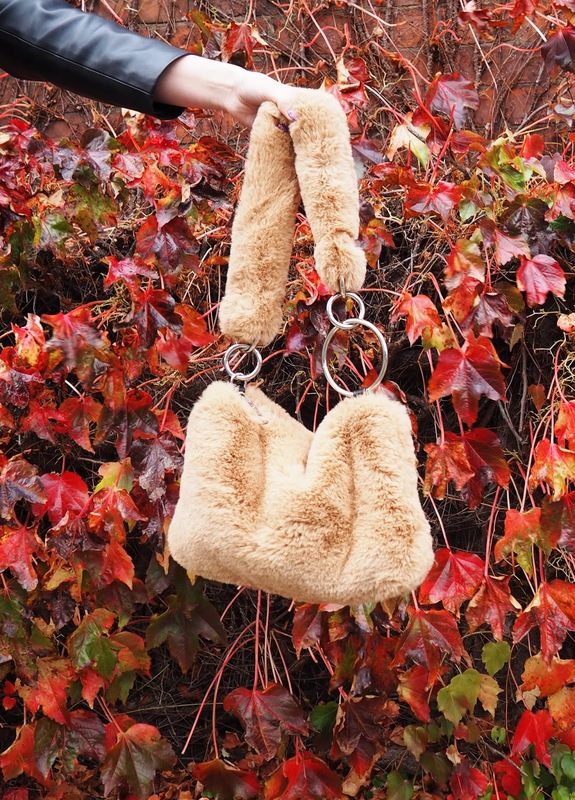 Who'dda thought that faux fur bags would be an actual thing? 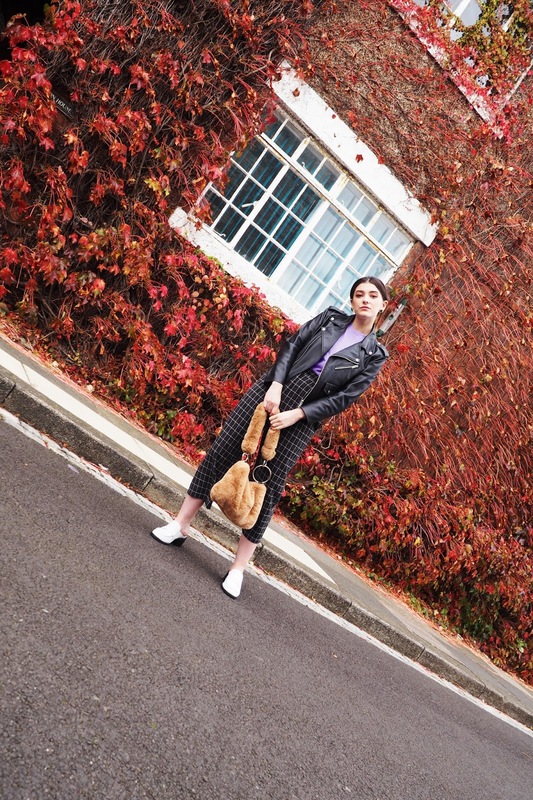 If it's not quite cold enough to whack out the faux fur coats just yet, then I'll be sure to inject it into my outfit in some way or another. Not to mention how handy this bag will be on my morning commute to uni - a soft, fluffy bag doubling as a pillow? Um, sign me up!